Chaos ensues in this family animation voiced by a star-studded cast. All hell breaks loose when three fairy tale princesses discover that they are engaged to the same person, Prince Charming. Premium, Compact & Compact Plus will get it for R35 if they link their smartcards. Three friends conspire to murder their awful bosses when they realize they are standing in the way of their happiness. Take a nostalgic rollercoaster of laughter with these pioneers of South African comedy. 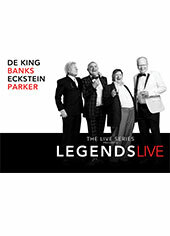 Watch Tony De King, Joe Parker, Eddie Eckstein and Mark Banks perform amazing sets as they entertain the audience.